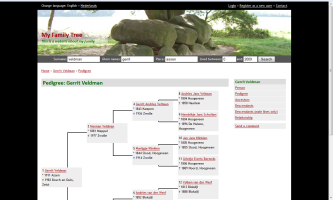 Introduction « Family Tree PHP - Display your GEDCOM file. A complete, flexible and easy php script! 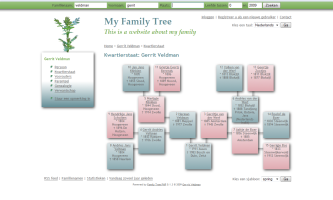 Family Tree PHP is a full genealogy program that runs on a webserver, using the php scripting language and a mysql database. It is easy to use, highly customizable, multilingual and very affordable. as your primary software and add and edit persons, families, events, sources, notes, multimedia files etc. directly online, from your home, or wherever you happen to be. Technique and layout are completely separated. This makes it possible to customize the complete layout and make your own website design if you only know a bit of html and css. Or you can choose from several ready to use template sets. The database structure is very efficient, which enables the script to handle very large family tree collections. Even when the database contains several 100,000s of persons, the script still runs very fast. You can easily add your own texts or complete custom pages, using a handy wysiwyg editor. 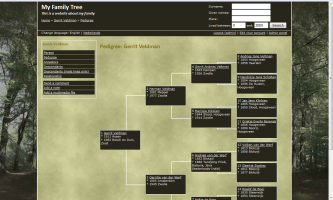 And even a blog module is included, so you can use Family Tree PHP as a complete content management system. 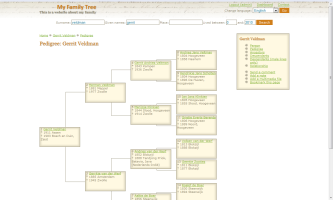 Although the script has so many features, everything is done to keep it as clean looking and as easy to use as possible, not only for family tree experts like you. 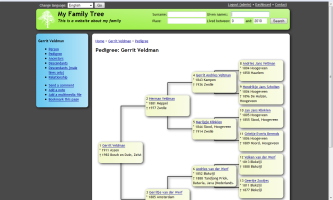 It is specificly targeted at your avarage family member who knows nothing about genealogy, but just visits your site to find his or her own ancestors quickly and easy. Providing an easy way of interaction between you and your visitors is an important aspect of the script. 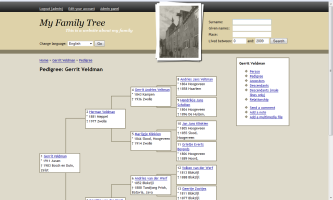 Visitors can easily leave comments on persons, families or other records. Last but not least, the script is very easy to install. You only have to upload the files to your website and run the installation script, which guides you quickly to the few needed steps. In less than five minutes you are done. A license for Family Tree PHP only costs 19.95 USD or 14.95 EUR. Buy it now without any risk. If you are not satisfied, you have 30 days to ask your money back. Language packages and template sets can be downloaded for free.